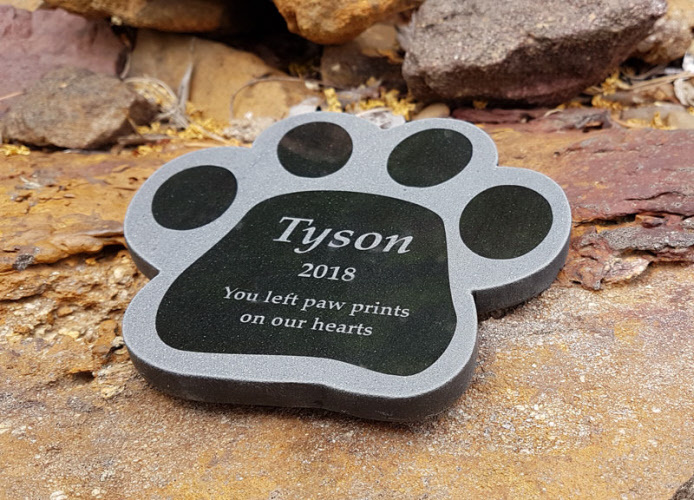 Black granite paw print shaped plaque can be used as a permanent outoor memorial. 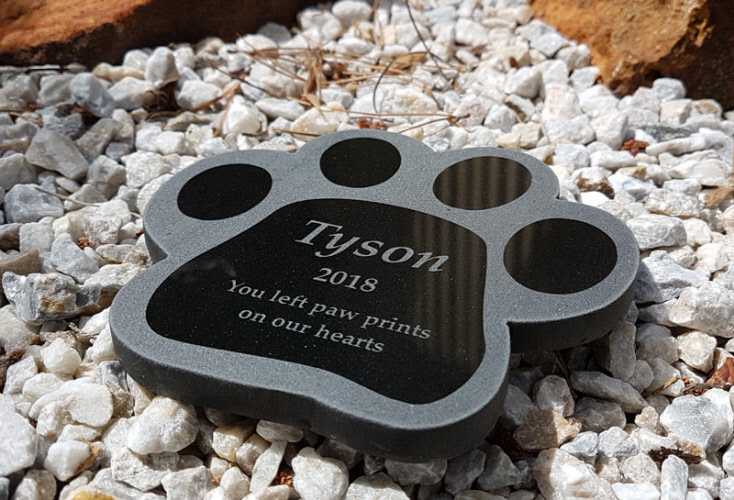 Black granite paw print shaped memorial plaque, made from natural stone these can be used as a permanent outdoor memorial and will not fade when exposed to the sun or rain. Please Note: The plaque layout will be the same as shown above with your specific wording. 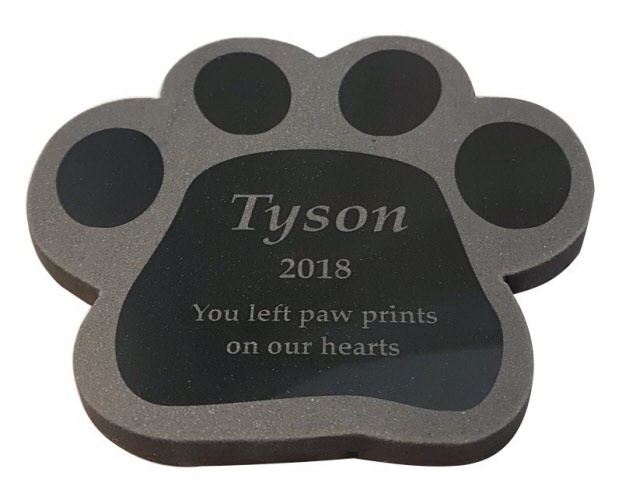 If you would like a different font, extra text, or a different clipart image please email us with details of what you're after and we'll provide you with a quote to produce a custom designed plaqe.